Alaskim | Surviving Wildlife, Wildflowers & Wild-Haired Children: All I Want for Christmas . . . 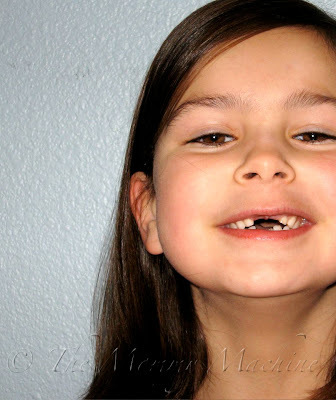 The tooth fairy has been busy at your house lately! Is there something special that you do to put your copyright on your photos? That's cool. That effect is called a watermark, and I learned how to do it through Photoshop Elements 6--it took me forever to figure it out, because the program doesn't come with a manual, and the "help" feature isn't very "helpful." I finally went to the bookstore and bought a step-by-step instruction guide. She's a doll! Your children are absolutely beatiful!